A new age African quartet is taking the charts by storm with the release of a fresh new album called Our Father. Blending rap, gospel, dance and jazz, the Uhuru sound is an eclectic fusion of styles that has won attention from music lovers around the globe, including right here in the UK. The band is set to perform two UK dates in September as part of their Y Tjukutja tour. Y Tjukutja is the latest single to top local charts, taking its name from the Pretorian slang phrase meaning 'shake yourself.' Uhuru will play their highly anticipated shows at West Indian Centre on the 12th of September and Dunstable Leisure Centre on the 13th September 2014. The quartet will be joined by DR MALINGA SA famous for his dance moves,the latter boasting sold out UK shows last year. Jetting in from Zimbabwe and also set to share the stage with Uhuru are Zim dancehall support acts Soul Jah Love, Bounty Lisa and Sah Calez. DJ Stavo will also be returning to the UK to get the crowd going, after establishing himself as one of the acts to look out for following his performance in May at London's DJ CNDO UK Invasion. Joining them will be the Gauteng crew Josi Chave(YFM) and Aero Manyelo(H3R)Josi has been making waves in SA on Yfm radio on the YTKO show which is aired every Wednesday at 6pm.Aero Manyelo former member of the crew blackhole also featured on Oskido's church grooves 7 with the hit song My Prayer will be perfoming alongside UK based Oluhle of the Pfugama Unamate fame. The dynamic group is made up of four hugely talented individuals who have raised the bar in the contemporary African music industry. Maphorisa (Themba Sekowe) and DJ Clap (Sihle Dlalisisa) bring a wealth of producing and DJ expertise to the table, Mapiano is an accomplished pianist while Xeli lends his vocal skills to the group's unique sound. Energetic, passionate and brimming with creativity, the boys refuse to put a niche label on their sound. While their music has been embraced by a large following of fans, it is still a very new style that has not yet arrived in the mainstream industry. Maphorisa said, "We are constantly on the search for new and exciting ways to make music. We live and breathe beats and are committed to staying on the top of our game. Our vision is to take the Uhuru sound beyond Africa and blow away a wider audience with our electrifying live performances! We love performing in the UK, there is always such an energy here." 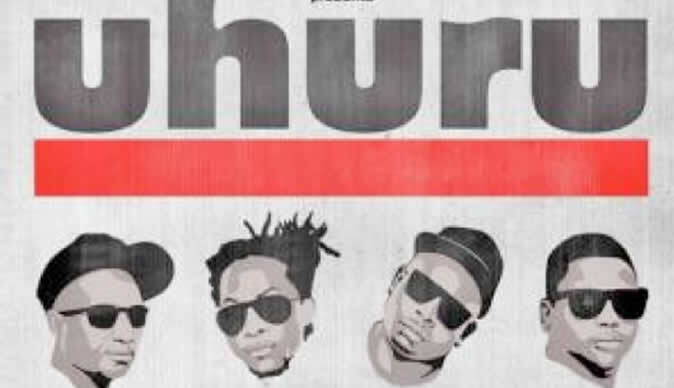 While Uhuru now share a professional relationship, the boys reveal that before signing with Kalawa Jazmee, they were just a group of friends creating contemporary African jazz. It is this deep rooted friendship that keeps the band grounded and quashes any conflict. Maphorisa added, "We've seen a lot of what goes on in the industry and can identify where many bands fall short, particularly when it comes to internal conflicts. As we've all been friends for over 10 years, we've reached a level of mutual understanding and that shines through in our music." The band's debut album Not Yet was released in 2012, immediately enjoying huge success. Our Father is the follow up record and has won Uhuru some of the most prestigious African music awards in the business. Recognitions for Y Tjukutja include Best Collaboration at the 2014 MTV Africa Music Awards, Song of The Year at the 2014 Metro FM Music Awards and Best Collaboration at the 2014 Metro FM Music Awards. As well as enjoying colossal band success, the boys have also lent their talents to a range of other musical ventures. DJ Clap and Xeli have produced chart topping hits for big name artists such as DJ Zinhle, Dr Malinga, L'vovo, Proffessor and Mafikizolo while the band has also featured on Mafikizolo's award winning track, Khona.